As one of the first mobility dealers to deliver wheelchair vans to customers nationally, we've perfected our time-saving, secure online sales program for your convenience. 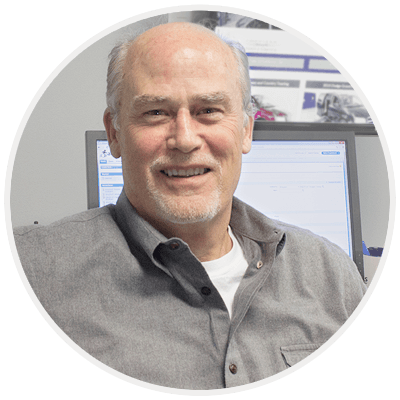 While you stay home in Sunnyvale, California, you'll work with one of our consultants on the Internet to select the right handicap van for your needs and process the paperwork. After the sale, we can deliver your adapted van to your home or office in Sunnyvale, CA, or nearby locations like San Jose, CA. Drive and Fly Have one of our professionals drive your van to your driveway in the Sunnyvale, California area or surrounding cities like San Jose, California, and then fly home. Truck and Trailer Avoid adding almost 3,000 miles on your van--schedule our professional to transport your wheelchair van to Sunnyvale, CA, on a car carrier. Pickup Discount We welcome you to visit our headquarters in Atlanta, GA, to pick up your handicap van in person. 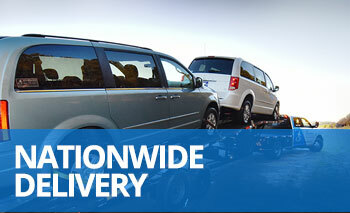 Most people who travel to us from Sunnyvale, CA to pick up their van, receive a discount on the purchase price. As part of our "White Glove Service," included with every delivery and pick up, you'll spend time with a mobility professional who will answer all your questions, offer some helpful tips, and show you how to safely use all the features of your wheelchair van. Before we leave, we'll make sure you're comfortable with the operation of your mobility van. Our straightforward satisfaction guarantee, in effect at the time of delivery, promises that, if you're not completely happy with your van for any reason, we'll take it back to our office, void the sale, and refund your payment--no questions asked. For confirmation before you make a decision, you can choose a mechanic in Sunnyvale, California, where we'll meet you and wait while an inspection is done. Our handicap vans are some of the safest on the road--for example, unlike most other manufacturers, we leave the vehicle's rocker panels intact to provide greater stability and endurance. We also inspect our used wheelchair vans with a 134-point inspection to make them Certified used vehicles. Because of our innovative conversion process, the factory warranty on the van remains valid, and we offer exceptional warranties on both the ramp and wheelchair van conversion. Speak with a consultant at 800-775-VANS (8267) to learn more about our wheelchair vans and convenient sales process. After exchanging information, we'll search our inventory to point out several handicap vans for sale that meet your requirements. When you find the one you've been looking for, let us know and we'll proceed with the paperwork while you relax at home in Sunnyvale, CA. Providing affordable wheelchair vans to people across the United States has made us one of the top mobility dealers in the country, and we hope to deliver one to your front door in Sunnyvale, California, in the near future.